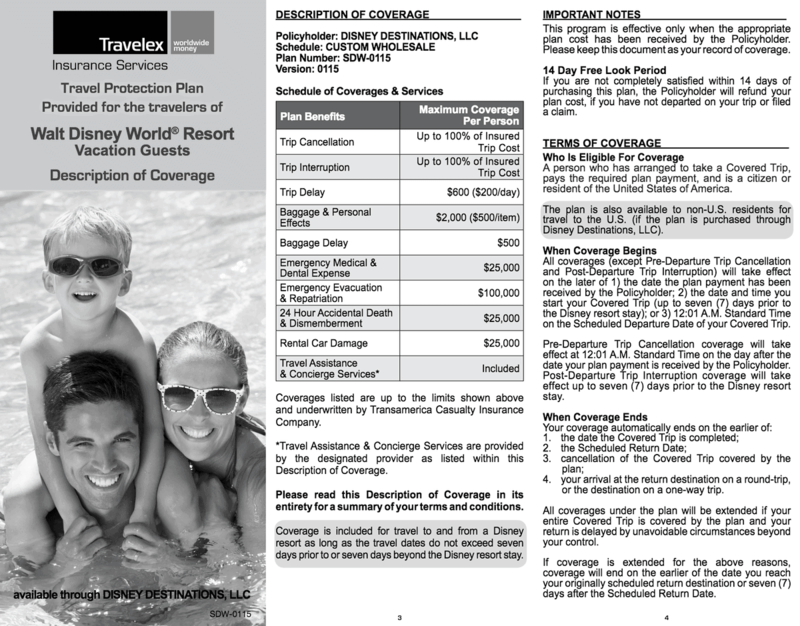 12) Trip insurance People often think that trip insurance is one of those pointless add-ons when you’re booking a vacation, but it’s especially helpful to have trip insurance when you’re planning a Disney getaway. If you or your loved ones were to get sick and become unable to travel, you’d be really thankful for that trip insurance. If you are visiting the parks in the fall during hurricane season, trip insurance can be helpful, especially during years like 2017 when Hurricane Irma caused the closing of Disney World for a day and the cancellation of many commercial flights, thus making it impossible for Guests to get to the parks as they had planned to do.